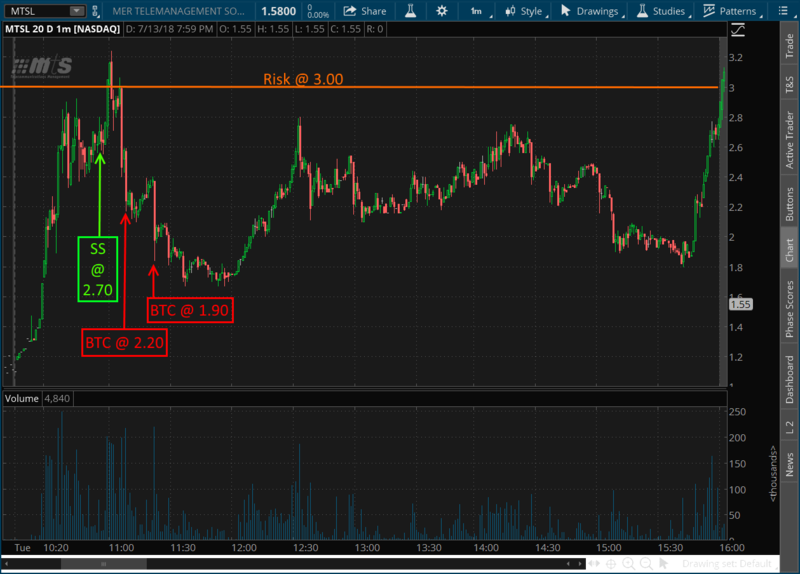 $MTSL was not on my radar during my premarket evaluations but it quickly showed up when it ran from $1.40 into a volatility halt, then running up to $2.00. This stock has a very low float and can move on very little volume so its another one that requires good risk management. The insider ownership is comparatively high but the institutional stock ownership is low, so we can expect mostly retail traders playing with this stock. Since there was a clear gap during the first hour, I used that as my target, which only meant I needed to find a good risk-reward entry against some resistance. During the trading halt I took the time to identify zones of interest and how many shares I could safely short. After the trading halt concluded, the stock pushed up to $2.20 and held steady. I was looking for a move up to the high $2.00's for an entry against my risk level at $3.00. 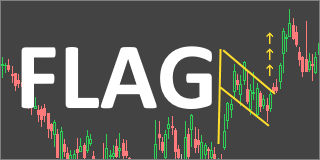 As a flag formed and volume slowed down, I took an entry at $2.70. After the flag played out, my risk was tested and $MTSL dropped hard. My targets were reached very quickly and I was able to close the entire position before lunch.